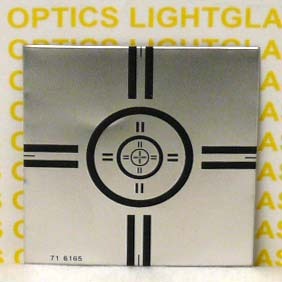 The K&E 71-6165 Adhesive Alignment Target is made of soft aluminum, with a silkscreened paired-line alignment target printed on its anodized face. 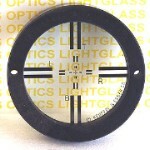 The target measures 1-1/2" square and has a adhesive back that allows this to be mounted on flat or curved surfaces. This target is inexpensive enough to be used and disposed of or left in place.